Change the Change: Rebuild the GOP: Governor Jindal's 2012 Prospects Doomed? Governor Bobby Jindal's name has been circulating around political circles with speculation high that he may be the GOP's best chance to defeat President Obama in the 2012 election. 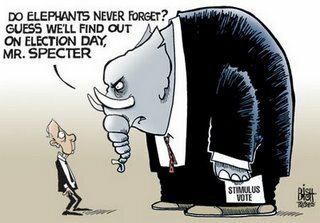 The GOP is desperately looking for a Republican figure who represents a stark difference from the stereotypical, and recently much despised, Republican. Governor Jindal may be our guy. The first thing some people might notice about Jindal, and I will admit that this is the first thing I noticed when I saw him, is that he is Indian. 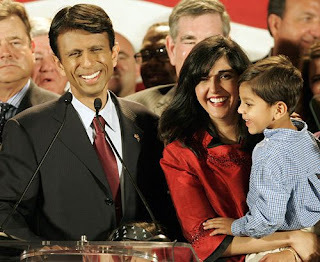 Jindal was born in Baton, Rouge Louisiana, but his parents were born in India. This is not to suggest that the Republicans have essentially tapped him as a potential contender in 2012 simply because he is a minority. Gov. Jindal has demonstrated as Governor of Louisiana that he can be a strong leader despite the drastic disasters that his state has experienced over the last few years. Gov. Jindal is also considered a good, confident speaker, and moderate enough to appeal to soft Democrats and Independents, that is until he delivered the rebuttal to Obama's speech on Tuesday night. The Republicans tapped Gov. Jindal to deliver the rebuttal speech about two weeks in advance and he had ample time to prepare it. Political careers can be defined from one speech, we saw this when President Obama made his now famous speech at the Democratic National Convention in 2004 on behalf of Senator John Kerry. After President Obama's electrifying speech, many commentators predicted that he would be a strong candidate in 2008, and clearly he was. Gov. 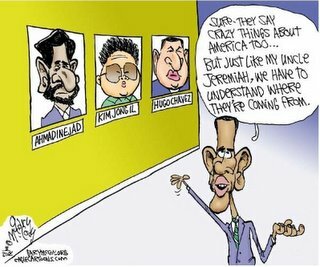 Jindal was given a good opportunity after President Obama's speech to the joint session of Congress, but many think Gov. Jindal did not hit his speech out of the park. GOP commentators and Democrat commentators alike have described Jindal's speech as 'childish' and as a 'disaster,' describing it as lacking character, and not really making a strong statement to boost the image of the GOP. Still, many people defended Jindal, and still think he will make a strong candidate in 2012 against President Obama. Gov. Jindal is still relatively unknown across America and many questions still remain about him and his policies. Do you think Gov. Jindal will make a good candidate or do you think Republicans are simply pushing him as a candidate because he is a minority? Was his speech a disaster, or did it just pale in comparison to a huge speech from the President in front of a joint session of Congress? Could anyone have looked good going after President Obama? I think the Republicans are in such dire straits and they are going to play the opposition for the next eight years. It's going to be impossible for the GOP to be as hip as the democrats are right now, and I know some people who think that the Bobby Jindal and Sarah Palin are sad answers from a beaten and embarrassed party to Obama and Clinton. I'm a democrat, but I'd very much like to see the Eisenhower republican return: the man who isn't afraid to reach across the aisle, who's first answer to aggression isn't war. The only reason the GOP has chosen these candidates high positions is because the Democrats came forward and had the courage to elect a minority candidate. The GOP finally did that because they realized that America isn’t about the white Evangelical Christian. I think that Obama has paved the way for these candidates and open the door for many more. Is this man being considered because Obama is a minority? huh, This is big steps for the US, yay. The best part of this: does this mean that Palin is out? Jindal may be ineligible based on his "natural born citizen" status, or lack thereof. The Dems have buried the issue with Obama, but if Jindal is nominated, you can bet they won't. As I read the laws, at the time he was born, neither of his parents were citizens. His father became a US citizen when he (Bobby) was 2 years old. The citizenship laws have never been made retroactive - the laws that applied at the time he was born are the laws that apply. I'd expect the Dems to be mute on the question until Jindal was actually nominated...then pounce and take the GOP to court. Whether he is eligible or isn't, the issue should be settled in a court of law before he's nominated. And you guys who think the GOP is considering Palin and Jindal due to the minority factor are thinking like typical Dems. Republicans don't choose on the basis of the Lib God of Diversity - we choose on the basis of individual qualifications. Both Jindal and Palin are _good_ - and have proven it as Governors of their respective states. We believe in the melting pot - not the mixed "salad" of Americanism. And I should add ... I resent people trying to tell me - or us - what our motivation is for choosing certain acts or opinions. Generally, I think that falls under the old children's category of "one finger points at me, but four fingers point back at you". I won't tell you what your motives are, and don't you try to tell me what my motives are. You're flat wrong most of the time - because you're so locked up in your mindset that you can't imagine anyone having any other.